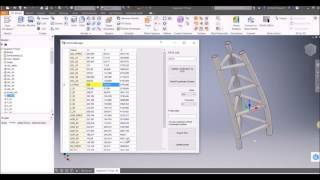 The solution for workpoints management in Autodesk® Inventor®. The app enables the user to import, edit and export points through points coordinate table. Very useful in top-down and skeletal design practices. Supports Autodesk® Inventor® 2020. Minor bug fixed.